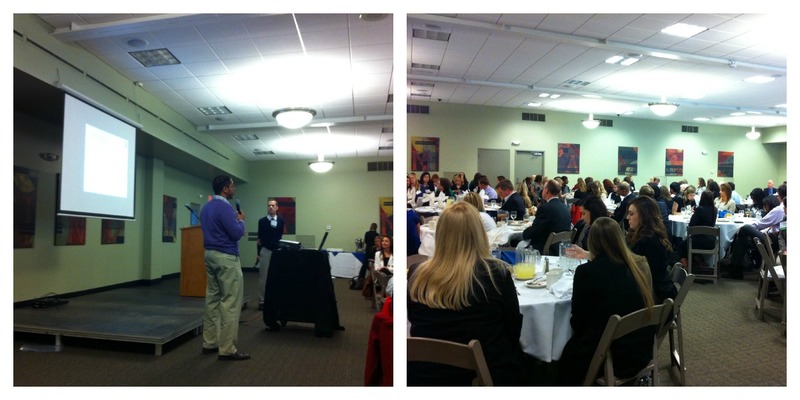 At today’s PRSA Hoosier luncheon, we heard from Kristofer Karol and Gene Ford, who discussed how they pulled off Indiana’s first real-time transplant Twittercast. In efforts to raise awareness about organ donation and organ transplants, they decided to tweet highlights, during an actual living kidney donor transplant. Tweeting the live surgery was a little bit risky, a lot outside the box and a huge success. When they started planning for this, they anticipated it taking quite a bit of time before everything was in place to make this idea a reality. However, there was a surgery scheduled sooner, so these guys had a lot to do in a little amount of time – 23 tasks in 9 days to be exact. These tasks included asking the patients to agree and sign the necessary documentation, informing the doctors and hospital staff, speaking with attorneys to make sure they were doing things in an ethical and legal way, among numerous other things. 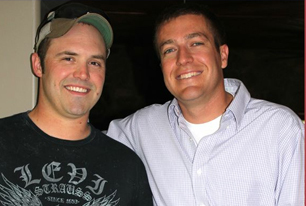 Some background: Caleb Johnson was speaking with his friend, Colin Newton, over dinner about his need for a kidney transplant, when Colin offered to be his donor. 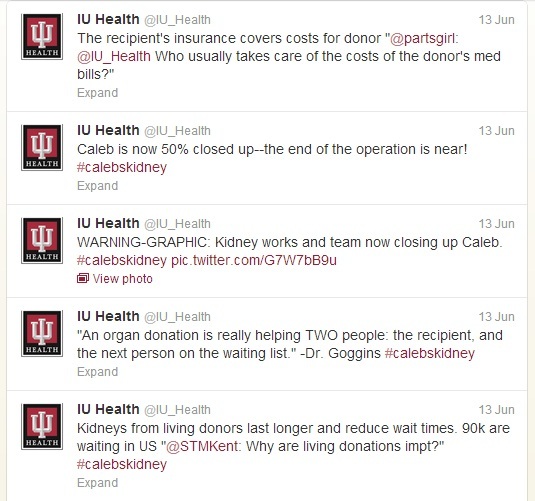 At IU Health, kidney transplants are done frequently, and as far as surgeries go, usually one of the safest procedures. This was one of the reasons that Karol and Ford chose to highlight this specific type of surgery. Karol and Ford had a lot to consider before implementing this Twittercast. For instance, what if something unexpected does happen? Or, worst case scenario, what if something goes wrong? While there is typically little risk involved in this type of surgery they still had to be prepared for anything. Fortunately, they did not need to use any premeditated crisis management strategies. This Twittercast far surpassed all expected outcomes. The team predicted they would receive about 500 new twitter followers and 50 mentions or re-tweets. In actuality they got just under 1,400 new followers and over 1,700 mentions/re-tweets, as well as over 100 media placements! 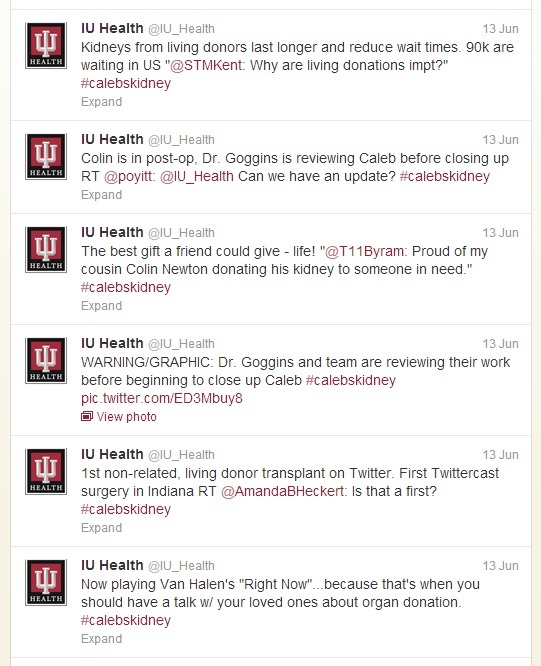 Click here to learn more about organ donation and Caleb’s story on the IU Health Website. Previously, I signed up to participate in PRSA/PRSSA’s Half Day with a Pro event. I was excited to learn that I had been paired with Wabash National, a corporation here in Lafayette, Ind. Today, I (along with two other PRSSA Purdue members) had the pleasure of visiting and learning about this great company. First of all, the staff was wonderful. Everyone we met today was so nice and gave us a ton of great information. One thing that always speaks volumes to me is how employees feel about their jobs and their employer. 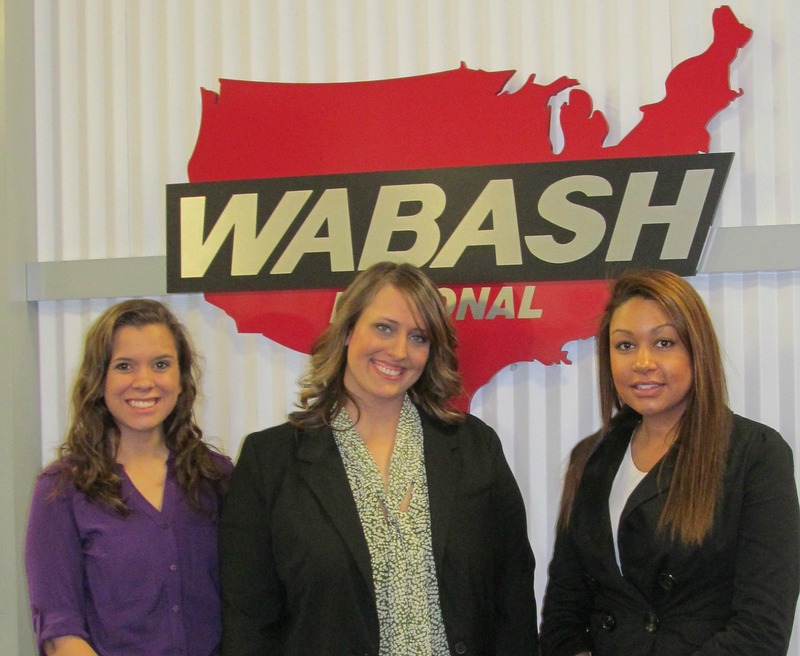 The team at Wabash National was passionate, friendly and excited to give us the inside scoop on life where they work. Wabash National seems to have a fun and fast-paced atmosphere. 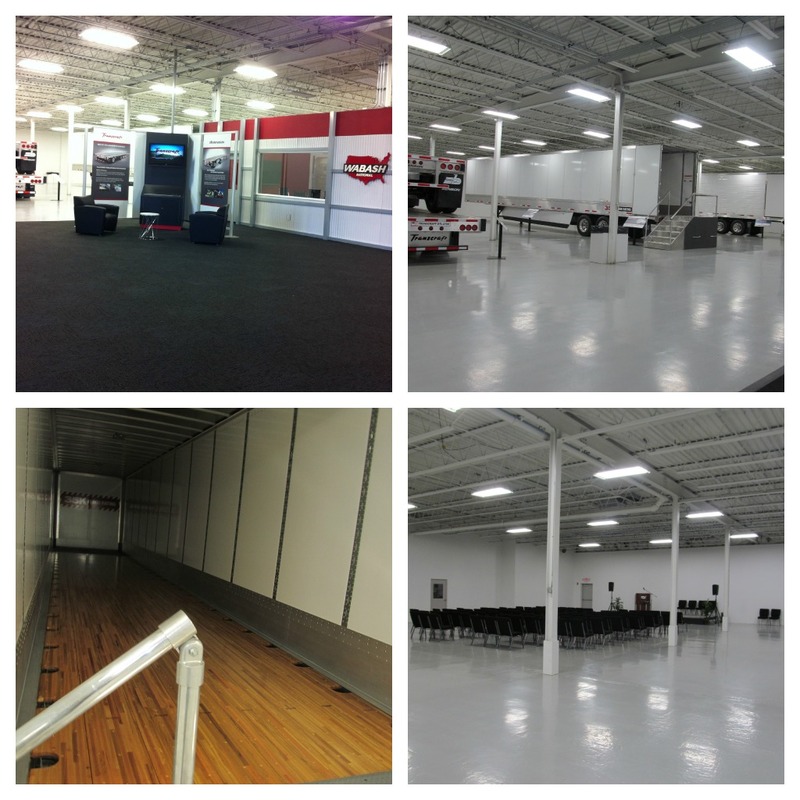 The company offers it’s employees great benefits, with new and exciting health benefit initiatives in the works. Wabash National produces more than just semi trailers. In fact, one of the things that really stood out to me, and sparked the title of this post, was their new new and innovative DuraPlate foldable mobile shelters. That’s right… foldable! These were developed and produced right before Hurricane Sandy hit. Wabash National has “shipped storage containers to the Salvation Army to help store supplies and donations for victims of Superstorm Sandy. [Wabash National] sent six containers, which were full in 1 hour!” – Celeste Stanley, Marketing Communications Manager at Wabash National Corporation. 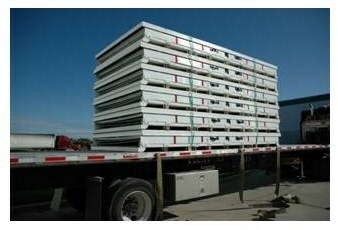 Mobile shelters and storage units fold down for easy transportation. ATTENTION PURDUE PRSSA MEMBERS: Wabash National is currently accepting applications for Spring, Summer and Fall interns. If you are looking for an internship and would like to take advantage of this opportunity, click the link and download this attachment for more info: Wabash National Marketing Intern listing – Jan 2013.